49 years, 7 months, 26 days old age. Vivek Razdan will turn 50 on 25 August, 2019. Only 4 months, 4 days, 4 hours, 16 minutes has left for his next birthday. Vivek Razdan has celebrated the total number of 49 birthdays till date. See the analysis by days count and bar graph. 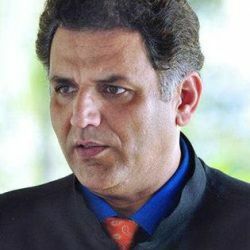 Vivek Razdan was born on 25-08-1969 in the state of Delhi, India. He is an Indian Cricket Player. He is a former Indian Cricketer who is now known for embracing the cricket career of youngsters. He took retirement from his Cricket Career and became Delhi-based cricket coach and commentator. With many other astonishing cricketers like Rahul Sanghvi, Maninder Singh, Ajay Jadeja, Gagan Khoda, Gursharan Singh etc he also successfully represented the country at the highest level. There are many reasons for placing these players all together but the best one is they all have done their initial training at the National Stadium in the Capital like Vivek Razdan. The National Stadium is the place that enhances the cricket talent of youngsters and makes them real players through rigorous training sessions. During his journey as a Cricketer, he played with several renowned cricketers and earned huge respect. He did his debut with Sachin Tendulkar in 1989 Test Series against Pakistan. This will be interesting to know you that on December 18, 1989, Vivek Razdan, Sachin Tendulkar and Sahil Ankola all three made their ODI (One Day International) debut together against Pakistan at Gujranwala. He began his career as an Indian Cricketer and later decided to take retirement and join training center as a coach and commentator. He played in three ODI's and two test tests between 1990 and 1989. He played a total of three ODI's and took one wicket. Later he tried his hand as a commentator, this field interested him a lot, and he became a regular member at the commentary box. He always praised cricket and sees huge scope in this field and so he decided to give training to new budding talents as a future cricket expertise. Therefore, he became Delhi-based cricket coach.